San-J International is a manufacturer of tamari soy sauces, Asian cooking sauces, and salad dressings. Two of their recipes (Thai Peanut Sauce and Tamari Peanut Salad Dressing) call for large quantities of peanut butter. 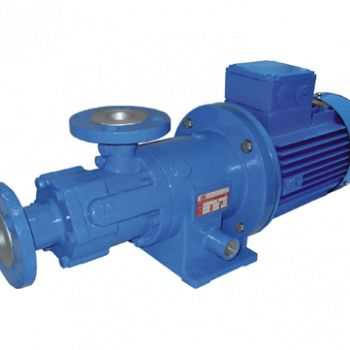 The problem was their existing pump transfer method took over three hours to complete a recipe thus causing a bottleneck in their manufacturing process. Fred Brault of Centrex Technical Sales has been calling on San-J for many years and partnered with FLUX Distributor Chris Boylan of IPT to discuss the features and benefits of the ViscoFLUX Mobile Drum Unloading System for their peanut butter recipes. 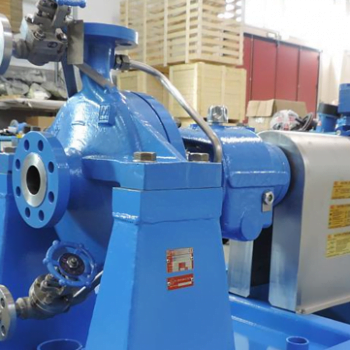 The ViscoFLUX mobile, designed and manufactured by drum and container pump pioneer, FLUX Pumps, is a stand-alone system consisting of a mobile process device and a pump system: drive motor, pump, follower plate, application specific process seal. This highly flexible system comes in sanitary and industrial versions and has been designed to transport highly viscous, paste-like, non-flowing media. The ViscoFLUX Mobile Drum Unloading System was able to completely empty (3) 55-gallon drum of peanut butter in approximately 15 minutes while cleaning the side walls of the drum and leaving a small residue (<1/16”) on the bottom of the drum. In addition, if the recipe also called for honey the same system was used thus eliminating the need for a second pump and/or cleaning the first pump. 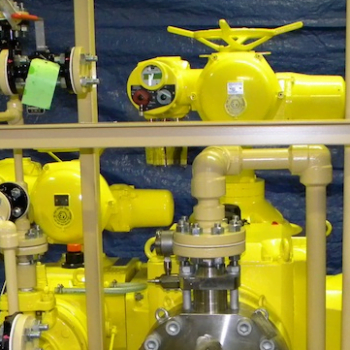 The VFM System saved 2-3/4 hours of process time resulting in quicker batch processing time, greater material yield and a cleaner and safer work environment for San-J employees.